In a Facebook update shared yesterday, Sedo announced that the company had rolled out updates to its buyer control panel, in an effort to “to make it easier for our #domain buyers.” When a company like Sedo makes client facing changes, I think it’s important for domain investors to know what changed. After reading the post, I reached out to Sedo’s Daniel Le Ray, and he was able to provide me with details about the changes that have been made, and he also shared before and after screenshots of the control panel. 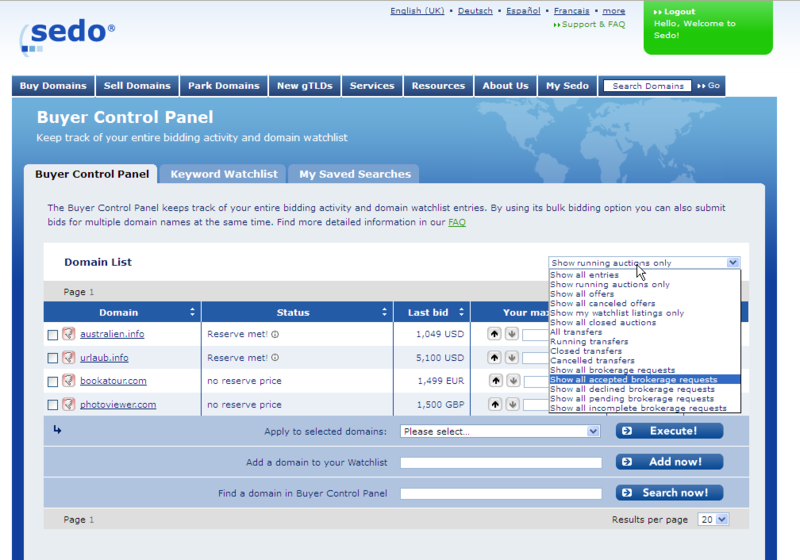 A more visible search box (previously it was attached to the domain list table). The dropdown menu titled “Change your View” has been relocated and the list of options has been reorganized to be easier to use. Two of the three rows at the bottom of the table have been relocated. Where there used to be options for Search, Watchlist, and Submit Bid/Remove Domain, there is now only the most relevant option (Submit Bid/Remove Domain) in this location. The option to add a domain to your Watchlist was moved below the table. 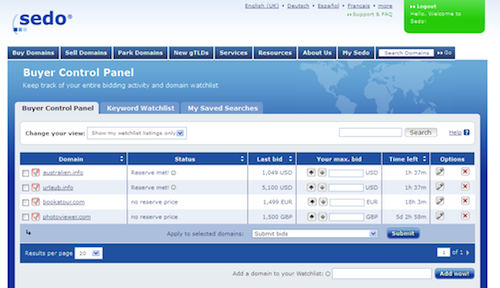 The pagination was updated to follow our existing design. Many of these changes were made in an effort to make the design closer in style to the current design. In addition to these stylistic updates, Sedo hopes that the changes help domain buyers who are bidding on multiple domain names in auction and in the company’s marketplace. What are your thoughts on these control panel updates?